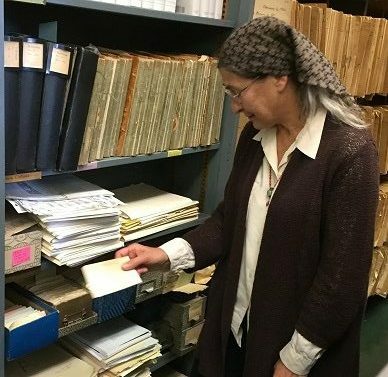 Claude-Anne Lopez in the offices of The Papers of Benjamin Franklin in 2000. Michael Marlsand photograph courtesy Yale University. Our research included New Haven Style Pizza. 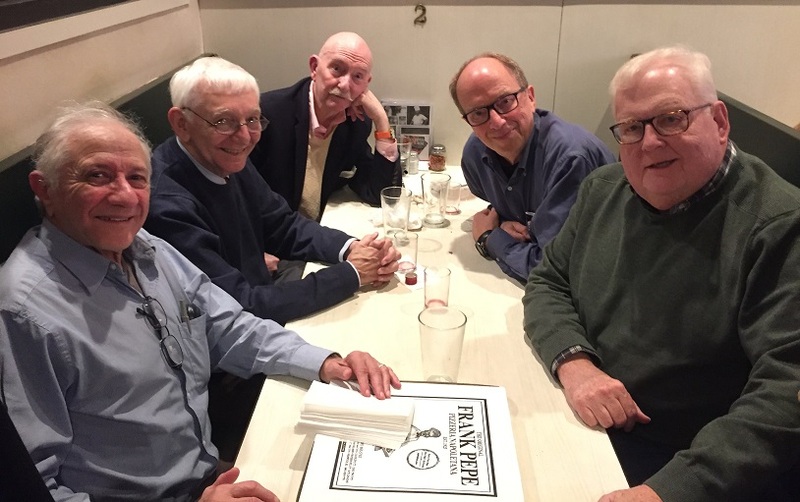 From left, Roy Goodman, E. Cutter Hughes, Jackson Boswell, Martin Mangold, Lee Knepp. 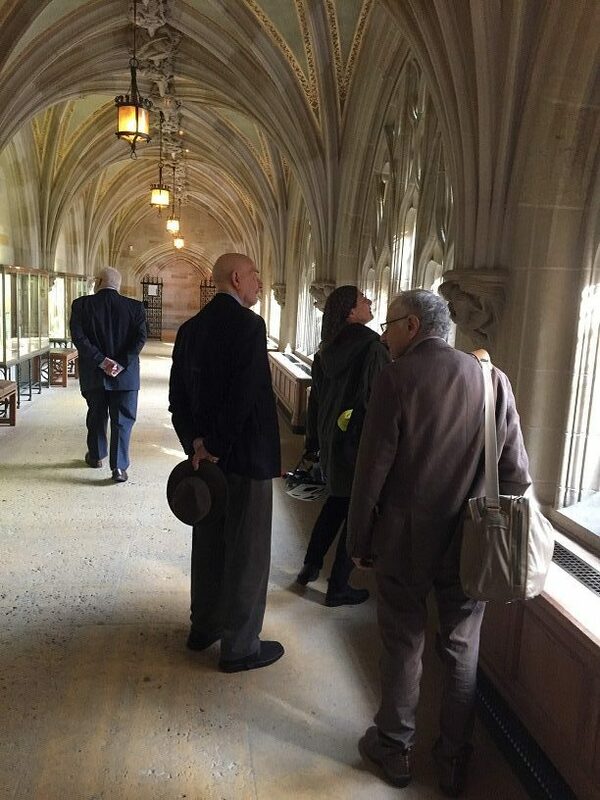 The next morning, we were greeted in the lobby of the Sterling Memorial Lobby by Editor Ellen Cohn. 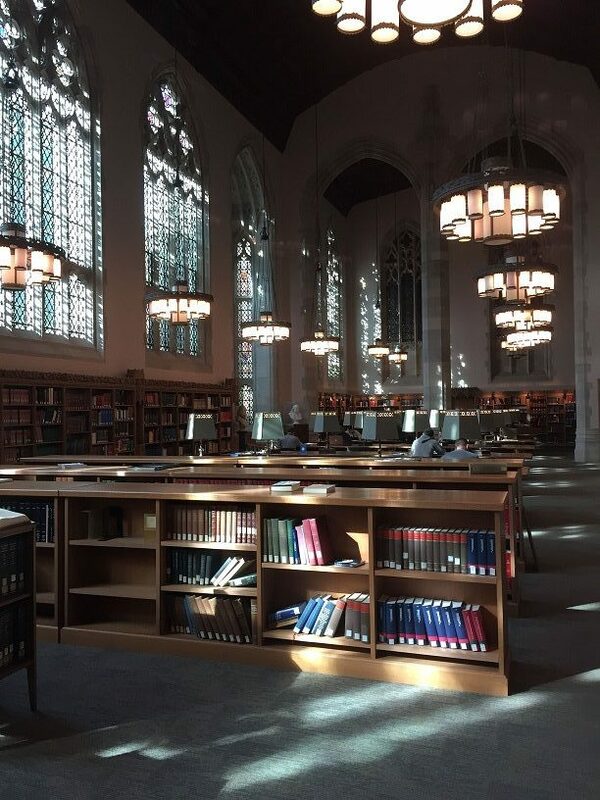 She showed us the stunning architecture, the printing press, and the cathedral-esque reading room. 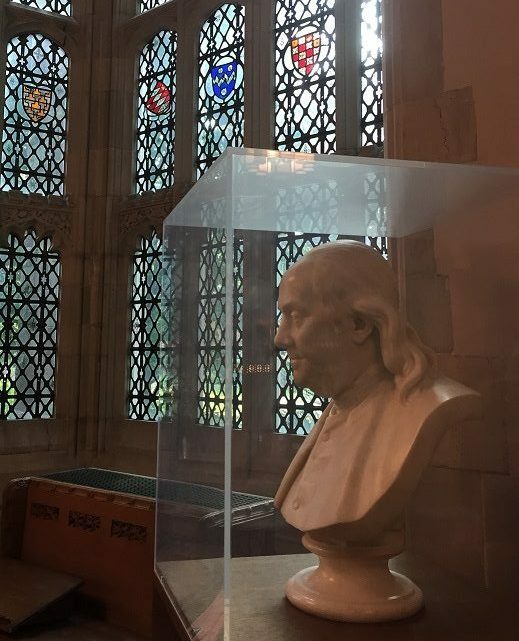 Every morning on my way to work at Yale’s Sterling Library, I walk by his bust standing guard near the entrance. I look at that very English face, eyes serene, skin flabby, thin and determined mouth, ironic smile. And I wonder what it was like to be his wife…. 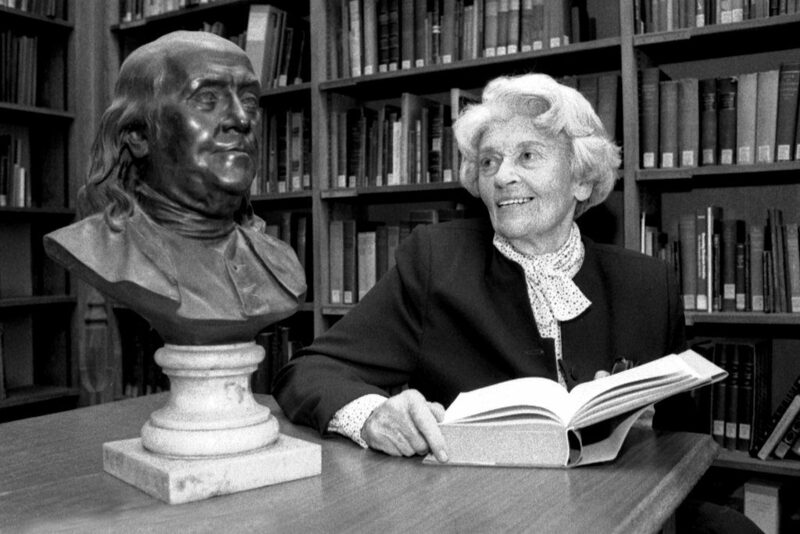 The bust of Franklin that was at the staff entrance to Sterling Library in the 1970s, now in the main Reading Room. Ellen hosted all of us, visitors and staff, to lunch at Mory’s. Time grew wings as we explored some of the treasures in the collection. Our organization concluded “with a bright point” as the Friends of Franklin’s President Lee Knepp spoke and made the presentation. Jackson Boswell, Roy Goodman, Lee Knepp, Ellen Cohn, E. Cutter Hughes, Martin Mangold, Phliipp Ziesche, Robert Frankel, Jr., Kate Ohno, Ellen Pawelczak, John Huffman. 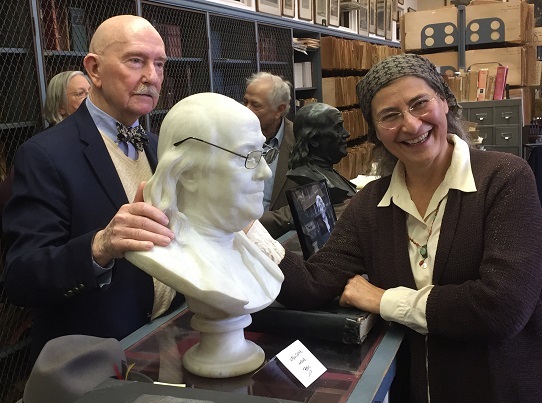 Jackson and Ellen discovered that a bust of Franklin looks oddly correct with spectacles added. It was an honor to participate. The announcement of the open house at Yale one year ago (January 17, 2018) features a lovely slideshow by Kendall Teare. The complete Franklin Gazettes published by the Friends of Franklin from its initial meeting October 21, 1988 into Winter 2012-13.